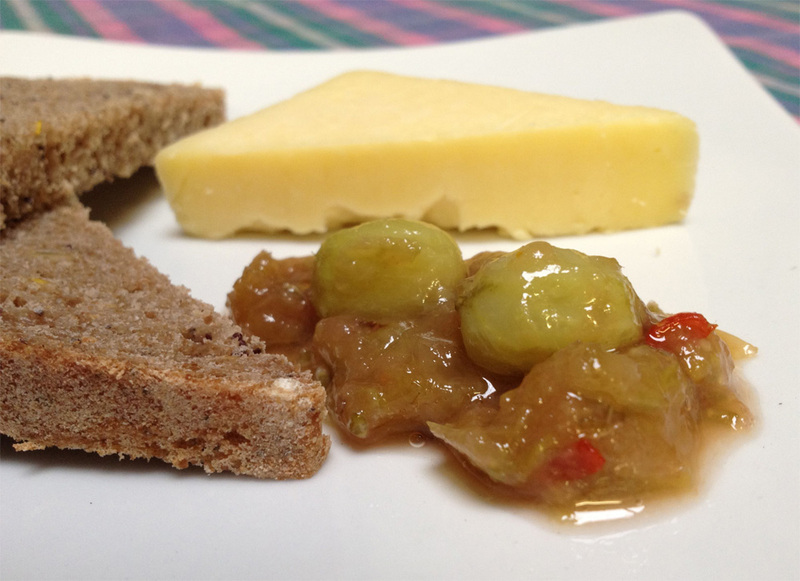 The gooseberry and chilli relish makes a change as a savoury recipe for gooseberries. Yotam Ottolenghi’s recipes are always an interesting new take on familiar ingredients. The full recipe suggests serving it with fried polenta and goats cheese. It’s also delicious with mature cheese and a good quality bread. Put half the gooseberries, the sugar, vinegar, ginger and chillies in a medium pan, add a pinch of salt, bring to a boil and simmer gently for 25-35 minutes, until slightly thickened. Lightly crush the cooked fruit with a wooden spoon, add the remaining gooseberries and cook for 10-15 minutes more. Remove from the heat and leave to cool down completely.